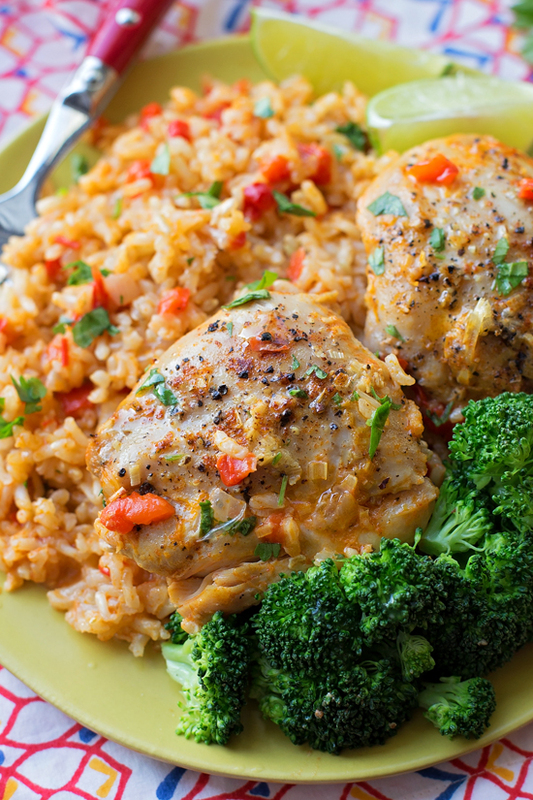 You’re going to love this overnight curried chicken with brown rice. It’s infused with red curry, coconut milk and lemongrass. Confession: we’re not big on brown rice around here. Shocking, I know, especially since I post so many brown rice recipes here on the blog. ???? 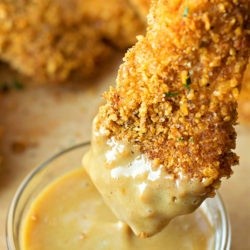 It’s earthy and wholesome, but… it takes FOREVER to cook and always turns out bland and crunchy!! So when I stumbled across a recipe that claimed it would change my unstable relationship with brown rice, I knew I had to give it a try! This make-ahead dish is not only simple, but super easy to throw together night before. It’s insanely flavorful and can be served with just about any vegetable. Our entire family gave it two thumbs up! Make the base the night before. Grab a large skillet and saute the veggies and whisk in the seasonings/broth. 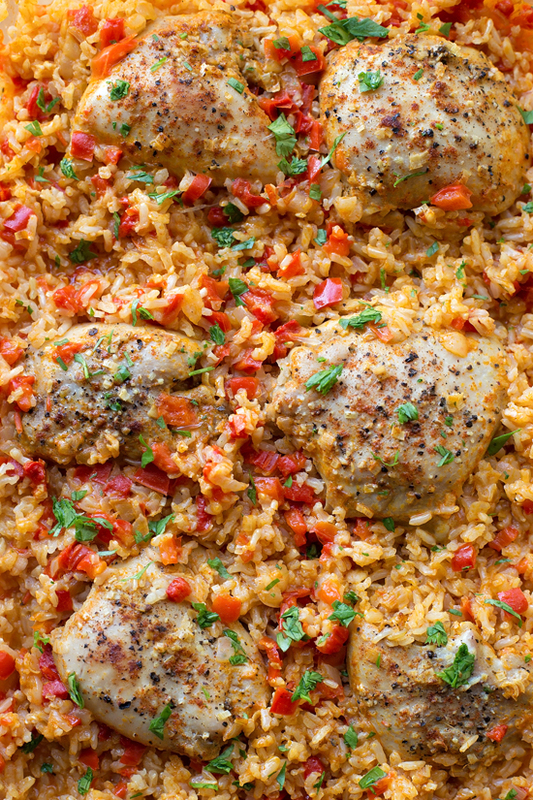 Transfer it to a 9×13-inch baking dish along with the brown rice and red bell peppers. Cover it, place it in the fridge. To marinate the chicken, season it, place it in a ziploc bag along with the lemongrass and olive oil. Toss it in the fridge and wait till the next day. 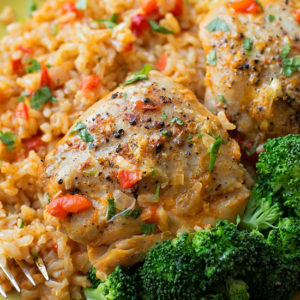 An hour and a half before dinner time, pop the chicken thighs into the baking dish, cover it with foil and bake it for about an hour, or until the rice gets nice and tender, it make take 15 minutes more. Then, stir in the coconut milk, cover it again, and let it cook for 15 more minutes. Pull it out of the oven, let it rest, then uncover it and dig in! 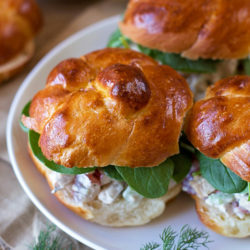 This dish has a lot of really unique ingredients in it, but they all work well together. Both the rice and the chicken came out super tender and flavorful! If you don’t want to serve a full chicken thigh to your dinner guests, you can always use two forks to shred them, then mix the chicken back into the rice. 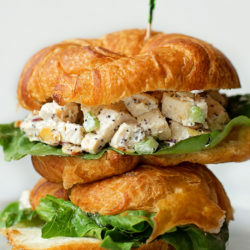 I hope you’ll give this recipe a try, it’s definitely one we’ll make again! 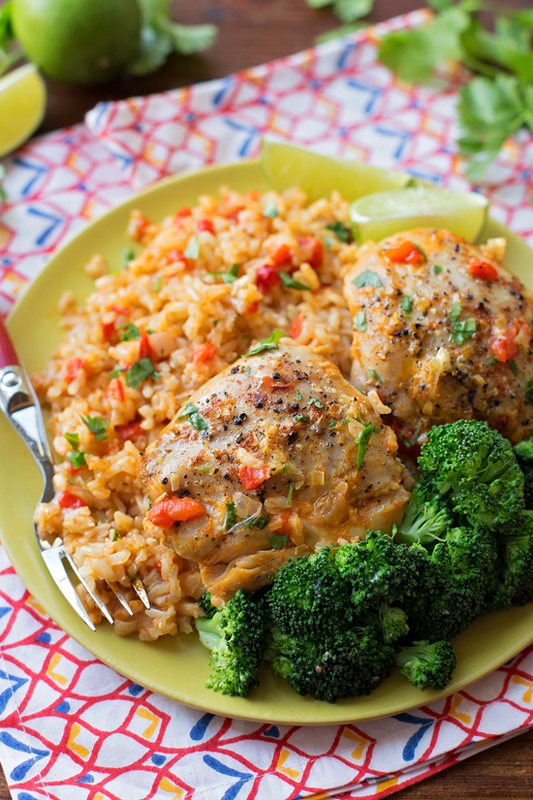 You're going to love this overnight curried chicken with brown rice. It's infused with red curry, coconut milk and lemongrass. In a large skillet set over medium heat, add 1 tablespoon olive oil. When the oil is hot, add onion, cook until softened, about 6 minutes. Add the garlic, scallions, curry paste, salt, and pepper, cook until fragrant, about 1 minute. Whisk in 1 cup of chicken broth and allow to simmer for 3-4 minutes. Transfer the mixture to a 9x13-inch baking dish. Stir in the remaining chicken broth and the brown rice. Allow the mixture to come to room temperature, then stir in the bell pepper. Wrap with plastic wrap and place in the refrigerator overnight (or at least for 8 hours). Season the chicken thighs with additional salt and pepper. Place in a ziploc bag along with the lemongrass and the remaining tablespoon of olive oil. Place in the refrigerator overnight (or at least for 8 hours). Preheat oven to 375 degrees. Unwrap baking dish and place the thighs into the rice. Cover the dish with aluminum foil and bake for 1 hour, stirring the rice a few times during that period. Stir in coconut milk and bake, covered, for 15 minutes. Remove from the oven and allow to cool with the foil on for 10 minutes before serving. -We served ours with a side of steamed broccoli.